Originally from Glasgow I have lived in Manchester and Trafford since 1976 when I moved from Corby, a small Scottish colony in Northamptonshire, to start a teaching qualification at a college affiliated to Manchester University. To my surprise and delight I graduated from Manchester University in 1980 with a 2.1 honours degree in education and sociology. Although qualified to teach I decided to follow my other interests in voluntary work and work with offenders and took a job with Greater Manchester Probation Service as Deputy Manager in a probation and bail hostel in Whalley Range where I stayed until 1983. I then took up the post of Project Manager of a small housing project for young homeless people in Bury. By 1985 the project had become well established in the town and I started work with Manchester City Council where I stayed until March 2011. While working with the Council I was proud and privileged to have been involved in the development and delivery of a range new services, designed to promote independence and choice for vulnerable people. For the last seven years as the Head of Workforce Planning and Development I have played a leading role in redesigning the social care workforce in Manchester through the introduction of career pathways supported by qualifications and training programmes that has enabled staff and managers of social care services to embrace the changes that have come about through the personalisation agenda and the introduction of personal budgets. Dr Bamrah is a Consultant Psychiatrist at North Manchester General Hospital. 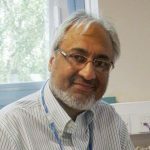 He is an Honorary Reader at The University of Manchester, National Chair of BAPIO and Director and Council Member of BMA. 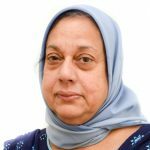 Dr Ali is a qualified social worker with 25 years experience working for Manchester City Council. 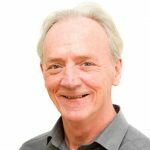 Greg Forster has been Rector of Northenden, in the Anglican Diocese of Manchester, for the past 30 years, having previously worked in a multi-cultural area of Bolton. As such he undertakes a number of other tasks within the immediate area and wider diocese, including the management of the finances of Withington Deanery and a couple of small local charities, and chairmanship of the governors of the local church school. He was on the management committee of LMCP or its predecessors for nearly three decades, in one role or another. He has written a number of books on ethical issues, including marriage and cohabitation, policing, and race relations, and was for a number of years a police station Visitor in the Manchester area. He studied both theology and social anthropology at Oxford University. Narinder Chadha is a ‘semi-retired’ highly successful businessman. He is heavily involved with local and national charitable organisations. He is the Chair of the Management Board of Silverstar – a registered charity campaigning to provide diabetes awareness. I am a GP in a small practice in central Manchester. I believe investing in relationships with patients is vital, and we attempt to achieve continuity of care in my practice. I believe that GPs play a vital role in contributing to meeting the needs of the community and individuals, but must work with other professionals in order to deliver accessible, flexible and culturally sensitive care. I am Professor of Primary Care at the University of Manchester. I have researched the doctor-patient relationship and how distress is recognized and dealt with in the consultation. I have worked on developing and testing new interventions for patients with mental health symptoms in primary care. Some of my work has led to service change locally, which I feel is an important outcome of clinical research. I am Royal College of General Practitioners Curriculum Guardian, Mental Health, and co-Chair of the Forum for Primary Care Mental Health1 which is a partnership between the RCGP and Royal College of Psychiatrists and aims to influence policy, develop educational materials for GPs and improve care of people with mental health problems. I was a member of the Guideline Development Groups for the updated NICE Anxiety and Depression Guidelines and a GP Clinical Advisor for the NICE-led QOF process. He was educated in Aberdeen, Bristol and Cambridge.